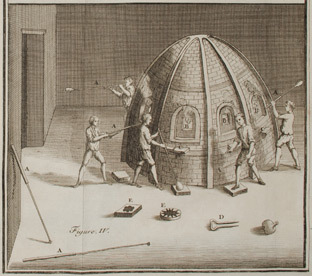 The Whipple Museum of the History of Science is extremely proud to publish as a free E-book Anita McConnell’s research monograph, A Survey of the Networks Bringing a Knowledge of Optical Glass-Working to the London Trade, 1500-1800. Originally completed in 1997, this work had long been recognized by colleagues as an important account of optical glass-making technique, but access had been limited to those few who had seen the small number of privately printed copies in circulation. Working with Anita, the monograph has been revised, illustrated, and edited by Jenny Bulstrode, currently a doctoral candidate in the Cambridge Department of History and Philosophy of Science. The work is dedicated to the memory of Anita herself, who passed away a year ago today at the age of 80.